About - ZT | Zippertubing Co.
With four generations of customer experience and product expertise, Zippertubing® continues to produce engineered solutions around the Globe. Incorporated in 1957, The Zippertubing® Company has been an innovative force in every conceivable kind of application. Many of these applications have been the basis for continuous improvements and additions to our product line. New jacketing and shielding materials have been added to meet the ever changing specifications and requirements in today's marketplace. Configurations are available to fit round, flat, square, and many other shapes. Various types of shielding are offered to protect against EMI, ESD, lightning, EMP, TEMPEST and other hazards. Our knowledge and years of experience within this broad market and our selection of quality products, has established Zippertubing as the solution for all wire harness applications. Our standard, special and custom engineered solutions provide bundling, thermal management and EMI hardening, as well as flame, chemical and abrasion resistance. The wide selection of materials and constructions makes Zippertubing® your choice for practical and effective solutions for almost any type of industry where protection is needed. The Zippertubing® Company is where teamwork and hard work are combined to produce engineered, quality work for today's solutions and tomorrow's products. Applications for Zippertubing® cross all industry lines. While most uses are for Electronic and Electrical equipment, the wide selection of materials and constructions makes Zippertubing® a practical and economical solution for almost any type of service where protection is needed. With creating our numerous proven solutions for so many years, we believe that we have the know how and experience to create just about any solution for you. If you are interested in a custom solution that suits your needs, don't hesitate to speak with our friendly engineers today! There are many proven solutions to choose from, but there may come times when a cookie cutter product may not suit your needs. We are here to help you with all your projects and custom needs. 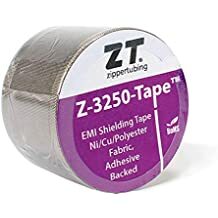 Zippertubing® offers a wide array of cable management products ranging from wrap-around to pull-through proven solutions. These products also allow for multiple variations of closure options, and can always be customized specific to your applications needs. Suitable even for the harshest environments, Zippertubing® is the perfect choice for just about any application, and any industry. Unlike typical forms of heat shrink, Zippertubing® manufactures custom heat shrink products that will wrap around your installation allowing you to install the products faster, and without the hassle of disconnecting any of your hardware. We also offer wrap-around water blocking and EMI heat shrink solutions to suit your needs. 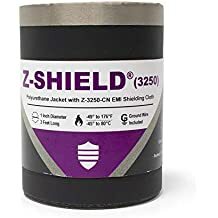 Whether you’re after a scalable EMI shielding solution, or a custom one off fix, Zippertubing® offers a wide range of EMI shielding products. These solutions range from wrap around, to pull through, or custom products that are engineered specific to your own application. Zippertubing® has a wide variety of EMI shielding materials that range from highly flexible fabrics to low-flexing aluminum or copper foils. Did you know that Zippertubing® is an ISO/TS 16949, and ISO 9001 American made manufacturer? Zippertubing® currently offers several of the automotive industries thermal protective options that are specific to their needs. We offer a multitude of options of heat ratings, and because we have our own highly experienced in-house Engineering team, we can also offer you custom one-off products that will exceed your expectations.